Did you know that you can decorate for Easter in a manner consistent with that of Christmas? What I mean to say is, that you can enjoy decorating your home or business for the Easter season just as you did during the Christmas season. Maybe not decorate as crazy as you did at Christmas, but one or two lighted Easter decorations wouldn’t hurt and we bet you’ll thank us. Click on the link to see our selection of lighted Easter decorations. 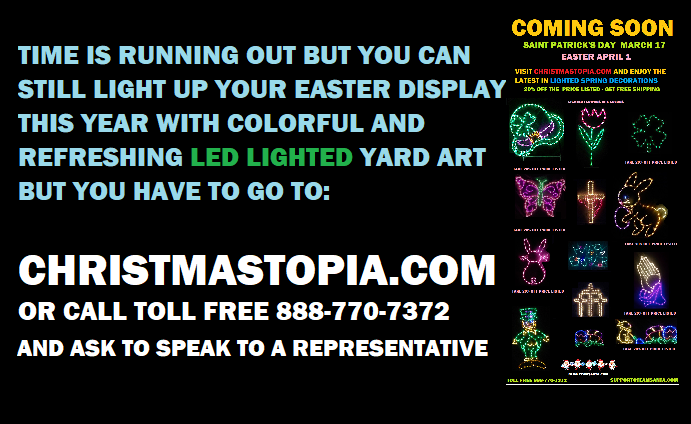 Our selection of Easter inspired lighted yard art is really nice. Each decoration has premium quality LED string lights already installed. These high quality decorations are made in America so they are not flimsy like some made overseas. It’s probably a good idea to support made in USA products whenever you can. Each lighted Easter decoration is made using a quarter inch steel frame, which is painted shiny white and is designed immaculately. The lighting is installed using LED technology. The colors are incredibly vibrant and the bulbs are incredibly bright, but not too bright. It gets better! The decorations are also 20 PERCENT OFF the price that is listed, so you are saving $$. If that wasn’t enough there is still more. How about FREE ground shipping via FEDEX? 😎 So that’s 20 percent off plus FREE ground shipping via FEDEX. Even the Easter bunny thinks it’s a great deal. We can ship right away so you have it in a few days. When your neighbors see these lighted Easter decorations, they will thank you too. Everyone in your neighborhood will benefit because you will be making a positive impact on the neighborhood by making it nicer looking in the evening. You can decorate on the inside of your property or on the outside. Put an Easter decoration in your window and let it shine for all to see. Each decoration will also look fabulous on a railing, deck, terrace, garage, in the yard, on the house, or inside a home or business. I am sure there are at least another 100 ways you can use the Easter decorations that I did not even mention. Welcome back to our continuing series of what has been some very special DEALS. 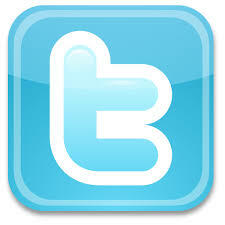 Three of our websites are accepting the current coupon code which is “socialmediasale20” (no quotes, no parenthesis). Using that coupon code will save you 20 percent off your order total. However, BIG NEWS, our fourth website teamsantadeals.com does NOT accept coupon codes. 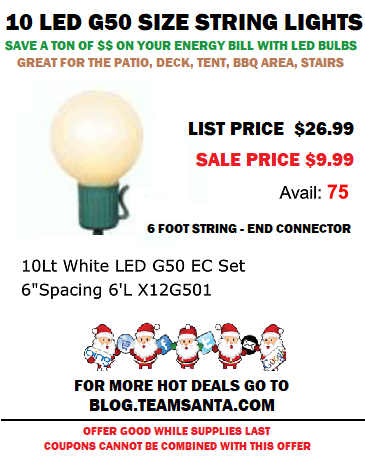 All prices on teamsantadeals.com are the net prices and there are no further discounts. Now on to Deal 009 which is fabulous. It is also practical in a sense that Deal 009 can be used all year round. Especially in the summer where they are great when used to light up communal areas at your home or business. Whether you are camping or hanging out on your deck, these lights are perfect to add inexpensive soft light to the area. The G50 size lens is approximately 2.5 inches and they hang with the round part pointed down. Each lamp looks like a jumbo globe light. G50 sized patio string lights will provide evening light without having to spend a lot of money to do it. Equipped with LED bulbs, they use only a small amount of energy, so your bill from the energy company will be much smaller too. Each string will cost you zero by year two. That’s how much energy the patio lights will save you in dollars and cents. If you have a pooch like I do, you’ll want to provide adequate light in the yard when Fido has to go “out”. You also need adequate lighting on your deck or out on your patio. Don’t limit yourself. You can use the patio string lights to illuminate and light up your BBQ area outside the house. You can use the LED lights to light up the sitting area around the pool. Why not hang a string above your pool table too. That will look awesome. Decorators, you are only bound by your imagination. In today’s DEAL you are getting LED G50 Size String Lights 10 bulbs per string. The string has a list price of $26.99. The product is online now so you can see for yourself. You are buying today for less than $10. This is the time to stock up before they sell out. Remember, offers are only good while supplies last and there are no rainchecks. 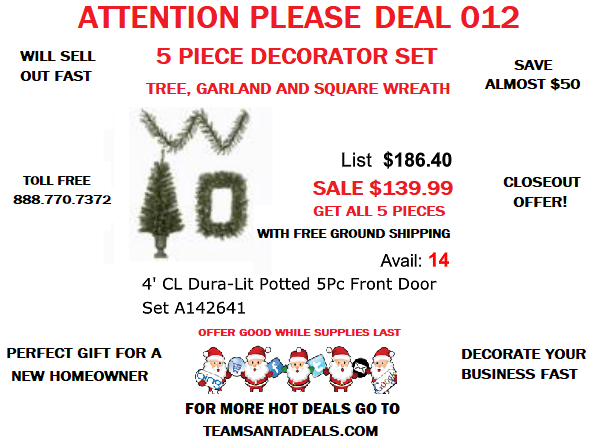 Coupon codes issued by Team Santa Inc. are not eligible to be used on teamsantadeals.com. Today we introduce to you Deal 008. We cannot believe that we were building Deal 001 only a few weeks ago. 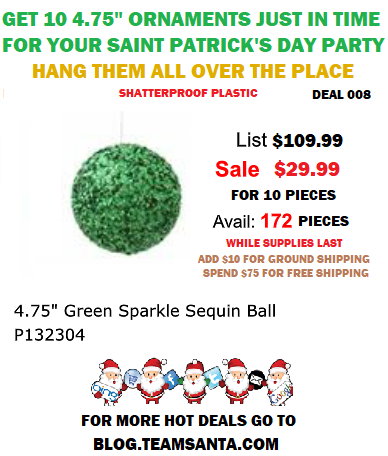 Well we are back today with a great DEAL 008 for those having a Saint Patrick’s Day party. Along with alot of green beer how about some matching Irish theme decor? Deal 008 includes 10 4.75 inch ornaments for $29.99. Yes, they are $2.99 per ornament. Hang these green Saint Patrick’s Day theme decorations just about anywhere you want. The Irish theme ornament is shatterproof so you don’t have to worry about breakage, because although they look like glass they are 100 percent shatterproof ornaments that are totally safe for use in public places. If you have a business like a restaurant or pub, this is an opportunity to decorate your business with top shelf unbreakable green ornaments. Use them anywhere! A pub, tavern and a bar. How about the bank, the local hardware store or the shoe store? Hang them in a store that sells anything retail. By hanging these ornaments you are showing your enthusiasm for St. Patrick’s Day. The ornaments are totally safe for communal areas. My dentist has them hanging in his office, so here’s a shout out for the medical industry. Perfect office decoration for a Doctor’s office. Hang them or fasten them anywhere. Thank you so much for taking the time to read about our Deal 008. For $3 you can really make a some cool Saint Patrick’s Day memories. 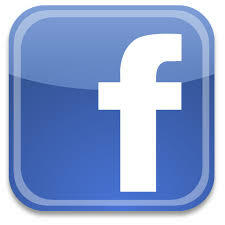 The photos on Facebook will look nicer too. We are enjoying unusually warm weather here in NJ. The month of February is usually for the most part very cold. Mother Nature has decided to bless the northeast with warm weather today and tomorrow. So today is the day we Say Goodbye to Winter. Spring will be here in less than a month. Start thinking about doing things outside again as the weather gets warmer. 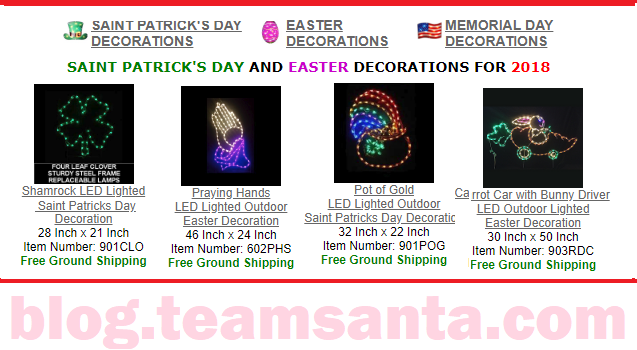 We have Easter and Saint Patrick’s Day Decorations that are very cool for the outside of your home, house or even your business too. A great example would be our Lighted Shamrock. If you own a pub or a related type business, you are going to want to promote Saint Patrick’s Day. 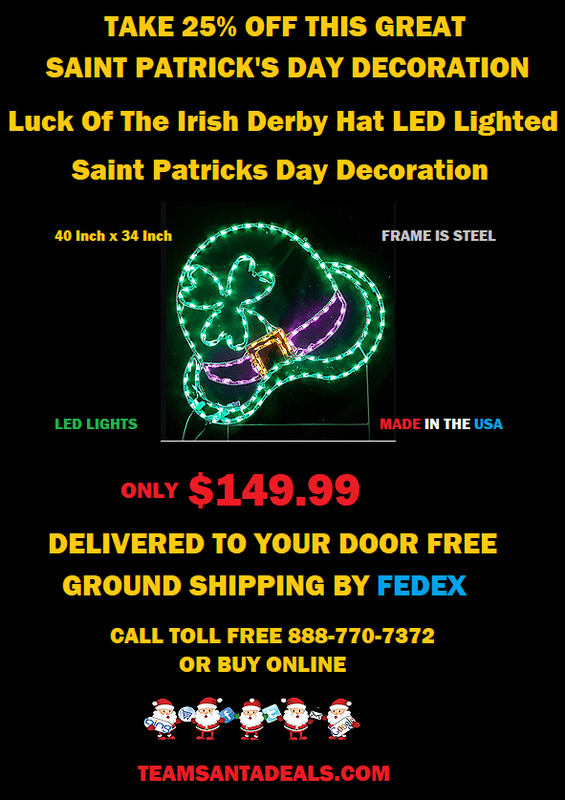 The LED lighted Shamrock would look great right at the center of the bar. The Shamrock had LED lights so it uses hardly any power at all. They also stay lit if a bulb burns out, so that’s big too. There are so many different things you can do if you operate a pub, bar or restaurant. Have you had the opportunity to see the Happy Easter Sign that we have. Now wouldn’t that look awesome hanging over your garage or on your railing? Maybe hanging off the deck? Hang it right out the window on your house and plug it in inside the house. This way you can turn it on and off easily. This year our selection of lighted decorations for Easter is delightful. You get to choose what colors you want on your decoration. You can really customize your holiday decorations to your own taste. 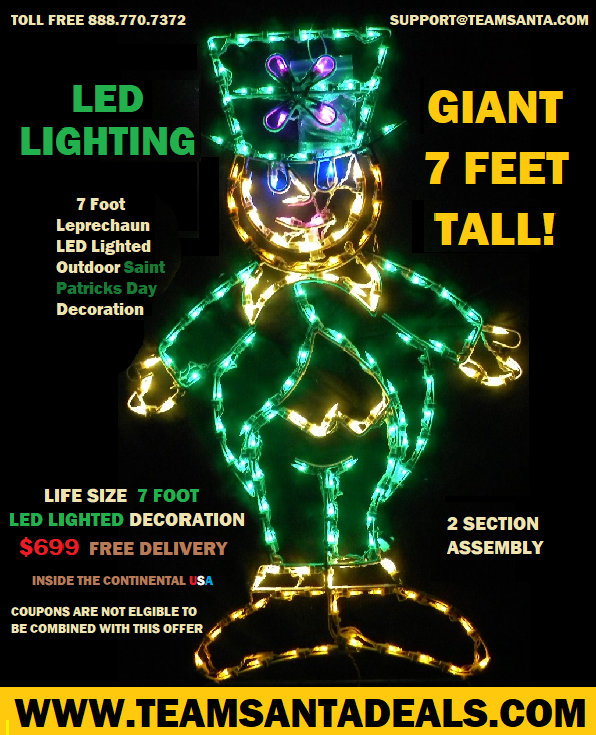 Our selection of decorations for Saint Patrick’s Day is smaller but you get to select the number of leprechauns you want on your lighted decoration. If three leprechauns dancing is too much $$, then tell us how many leprechauns you want included with your decoration and we’ll do it. Thank you so much for taking the time to read this article. You are really terrific. 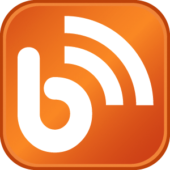 We know your busy, so we sincerely appreciate the time you took to read our content.